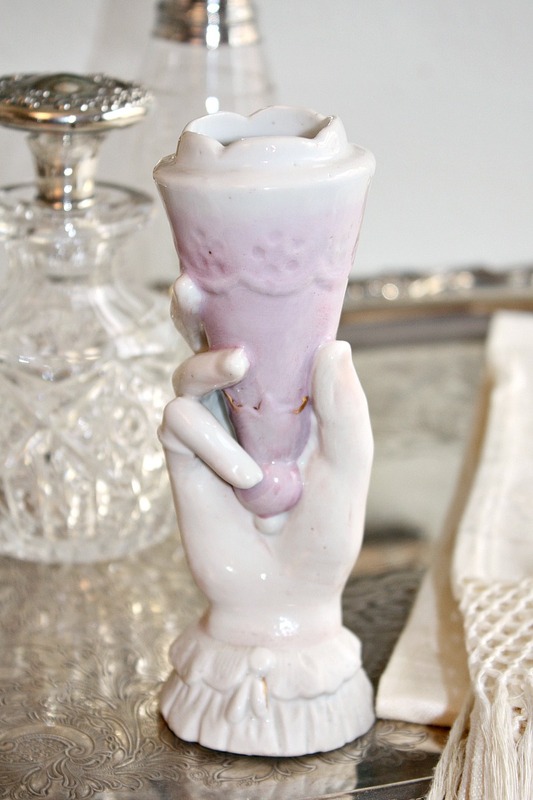 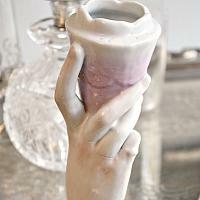 Beautiful and very decorative Antique Vase, in the shape of a lady's hand holding a pink cone vase. 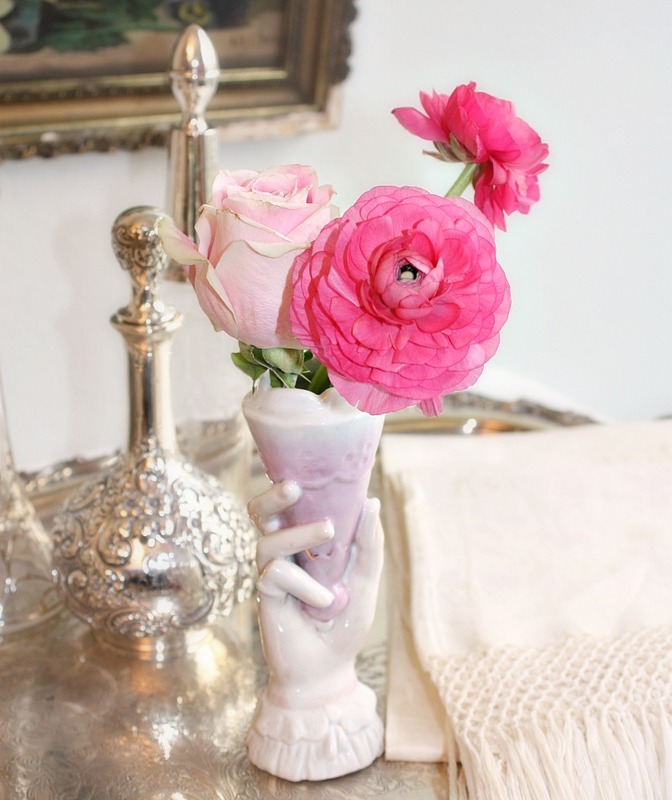 Perfect to hold a few roses or other flowers from your garden, this beauty was hand painted with great care. 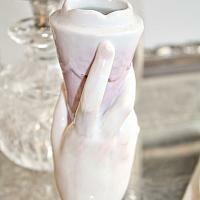 The ruffled sleeve at the base is unglazed bisque, a signet ring decorates the smallest finger. 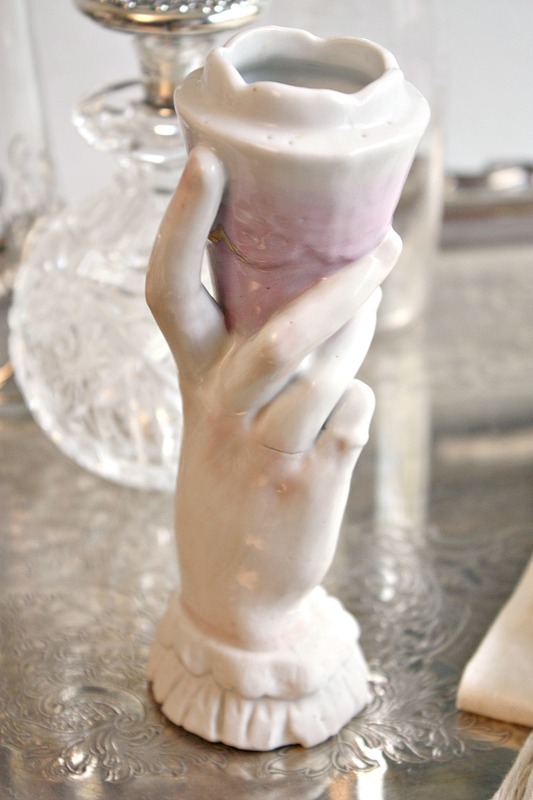 One finger has a kiln separation, as many of these earlier porcelain pieces do. 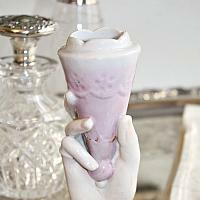 The gilt decorating the scalloped cone has faded over the decades. 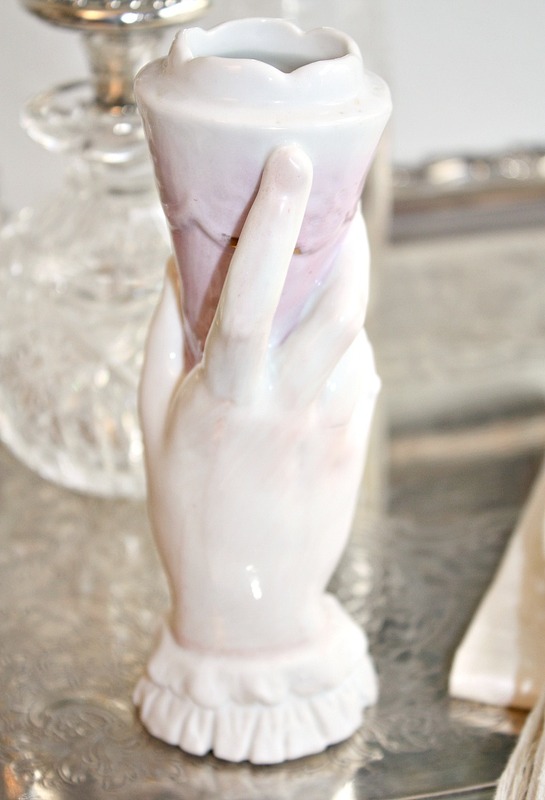 A find for your collection of Victorian porcelains, looks wonderful with others, but stunning on its own on your French desk, your nightstand, or next to your favorite books. 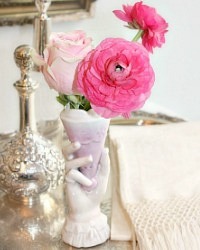 Measures 6-1/4"h x 2-1/4" x 2-1/2".